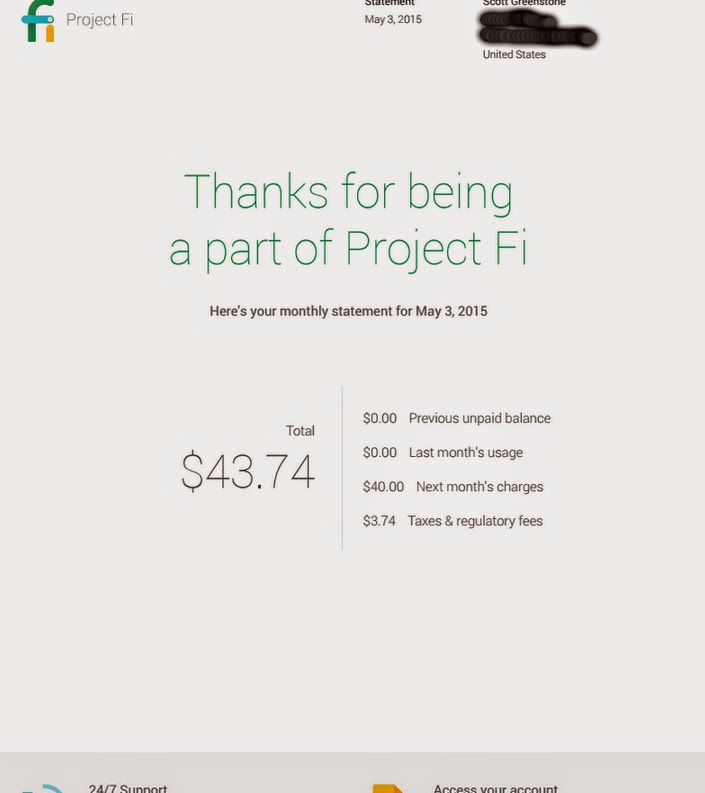 Since Fi is so new, most people have no idea what an actual Project Fi bill will look like. The Bill is actually very simple to read, no extraneous information and confusing terminology. 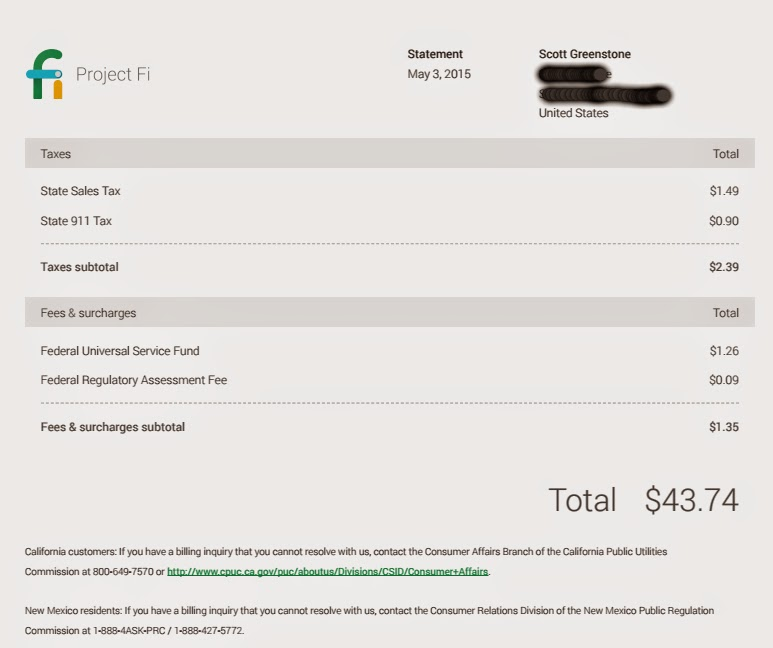 The bill is essentially broken down into three pages (or at least mine is). 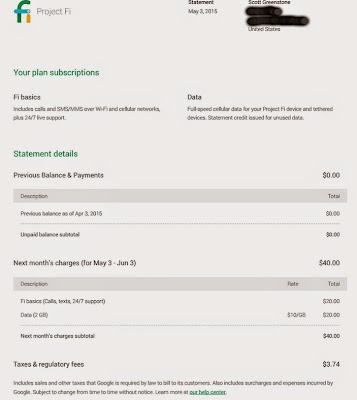 First page shows a clear indication of how much your bill is, written very large and clear. It also gives a quick synopsis of unpaid balance, last month's use, expected charges for next month and taxes and regulatory fees. Really, what else do you need to know. Page 2 gives a little more breakdown of the total charge. It shows balances and payments from the previous month as well as a breakdown of next months charges, showing the basic plan and the amount of data purchased. Then a quick line item of the Taxes and regulatory fees. Page 3 breaks down those taxes and regulator fees into simple, easy to understand terms. Sales Tax and 911 tax are broken out so you can see how much each is. The fees are also broken down separately into Regulatory Fees and Universal Fund. How much simpler can a bill be? Verizon, you should definitely take notice.